On this site you will find information on how to build your own geodesic dome, as well as how to order one made to your specifications. 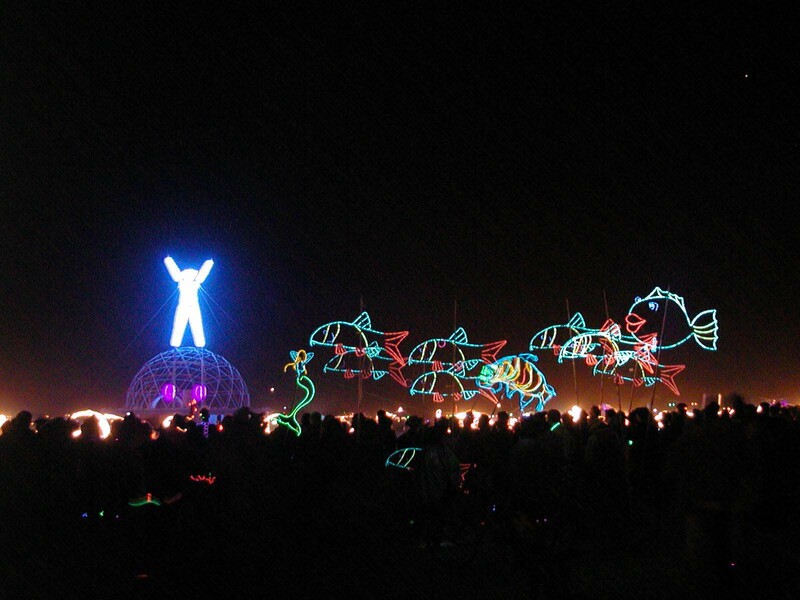 Also, find pictures of domes in action at Burning Man and around the world. To the left is a picture of the Burning Man dome that I designed and built in 2004. I first became interested in geodesic domes while participating in my first Burning Man in 1996, and this site is a result of that interest. Nearly everything I know about domes can be found in a few books which I have listed in the bibliography section of this site. The rest comes from experience.